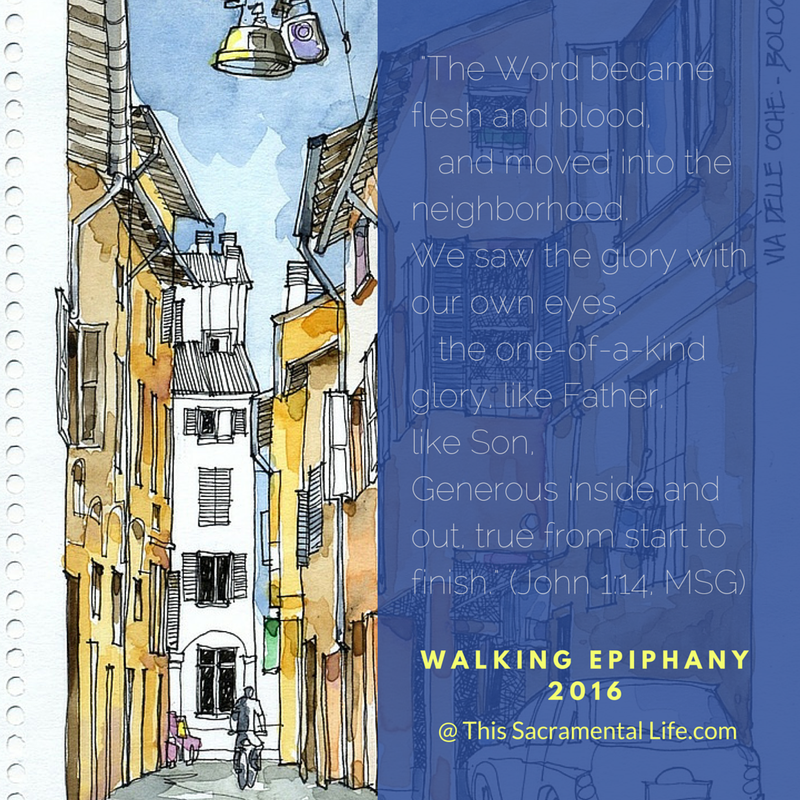 Welcome to the second annual WALKING EPIPHANY series of guest posts! I've asked a few friends who live around the world to take a walk through their neighborhoods, and share some of what they see through photos, videos and words. Each one has selected from a variety of thoughtful prompts to consider the ways the Light has moved into their neighborhoods. Will you join us? Read here for a brief description of the liturgical season of Epiphany. 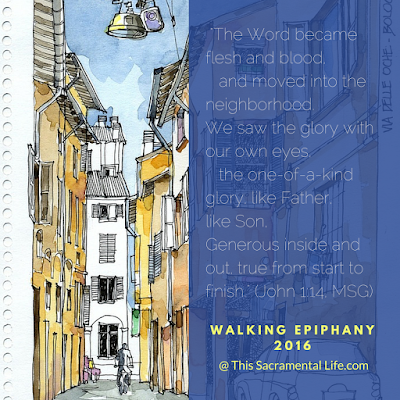 See the 2015 WALKING EPIPHANY posts here. Also, don't miss the opportunity to engage with thought-provoking questions for your own neighborhood, listed at the end of this post. Houses become homes when they embody the stories of the people who have made these spaces into places of significance, meaning, and memory. Home is fundamentally a place of connection, of relationships that are life-giving and foundational. And that connectivity includes the past, for homes are shaped by memories of important transitions, events, and experiences. Once these stories are forgotten, there is no home to return to because there is no place, or even potential place, that could be shaped by those stories. The story of my neighborhood is difficult to narrate: officially, it is a “master-planned community for the chronically homeless,” but you’ll have a better picture if you read the verse that inspired the non-profit Mobile Loaves & Fishes to build it: “Then the Lord God took the man and put him into the garden of Eden to cultivate it and keep it” (Genesis 2:15 NASB). This means it is a neighborhood designed in every way to facilitate community with and among its inhabitants, most of whom have endured chronic homelessness for much of their lives. For example, making the most of a temperate climate, the innovative “tiny homes” on the east side of the property have porches equal to (or larger than) their indoor space. Fire pits and other “gathering spots” invite neighbors to come outside and learn more about one another. Gardens sit at the heart of the property, and we all eat from them. At least once a day it seems I stop to ask a different neighbor how he or she likes to prepare greens and Daikon radishes -- both abundant in our winter gardens. Unlike a homeless shelter, the Community First! 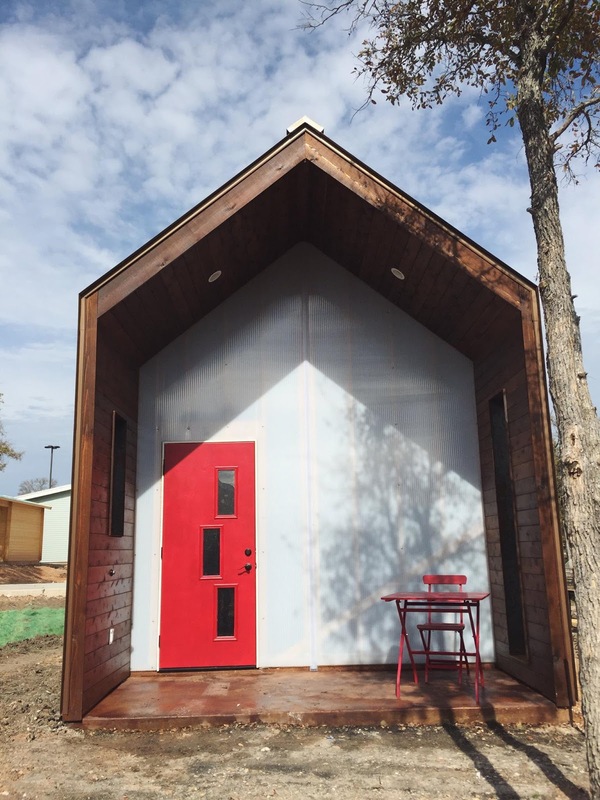 Village is not meant to be transitional housing, but a lasting, storied, home. As a sign of this permanence, a columbarium already holds the remains of several men and women who longed to live at the Village, but did not live to see it open. Strangely--or perhaps perfectly--it is right next to this monument that we have built a space for the children to play. 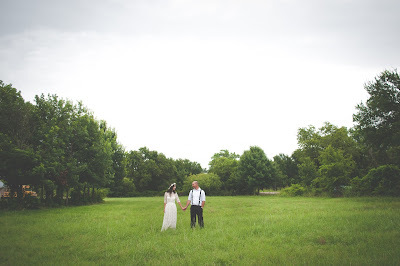 Though a farmer and a scholar by training, my husband and I have stepped into the adventure of running a bed and breakfast here at the Village. We hope that this “Community Inn” will become a true extension of the household (Greek oikos, from which our word “economy” comes) of this place. Thus, the Inn, like the rest of the Village, will aim to empower communities into a lifestyle of service for and alongside the poor. Our staff will consist of residents at the Village, providing them with meaningful work and useful income. 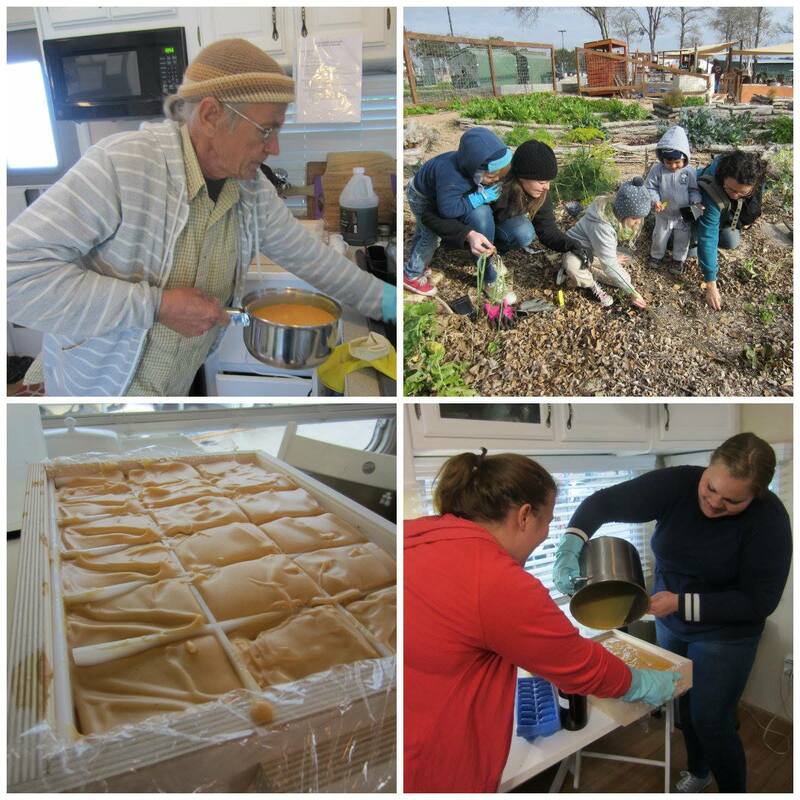 Additionally, the Inn will house some of the Village’s micro-enterprise programs, such as soap making. We hope to become known throughout Austin for providing beautiful, useful household goods. 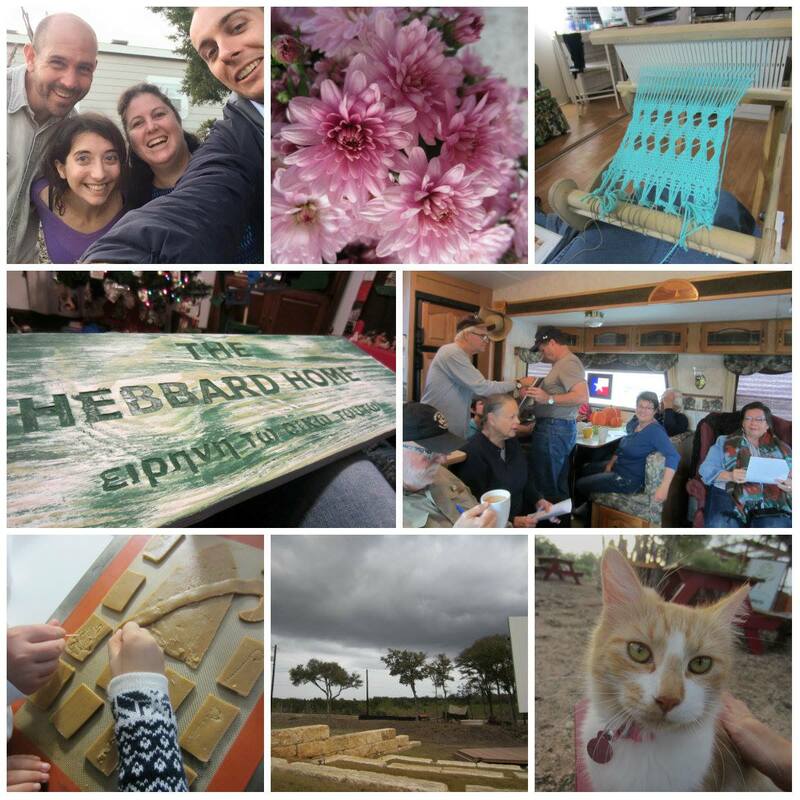 Even more, we hope that by entering into our “homegrown economy,” our guests will be inspired to shape their own lives according to principles of localized, ethical, meaningful production and trade. Though a native Texan, my parents moved when I was a baby, and I have lived and put down roots in many other places: I grew up among the smallwood forests and cornfields of Indiana, fell in love early with Appalachian hills and lore, spent my twenties as a grad student in central Texas and then, for three years, took a job and lived on the Gulf Coast of Alabama, where I thought I would spend the rest of my life. Now, marriage and calling have brought me back to Texas. It has been a beautiful, bewildering, glorious, painful transition; each uprooting hurts more, and I am weary for my roots to find some depth and peace. Thank God the Texas winters are mild and greening. I feel the beauty of this place most now, as Epiphany reveals marvels in midwinter: the precious fragrance of southernwood and Satsuma; chamomile outside my door, as well as calendula and lemon balm, good for salves and lotions. Living in a refurbished RV, I feel the temperatures swing from frigid nights to golden afternoons: we may open the screen door tomorrow, but today I was glad for an excuse to light the oven and win some extra heat from it. The winds tonight make the whole house sway, but we brew our tea (mine with nettle, which grows abundant here) and enjoy jam from the wild Mustang vines I found in August. 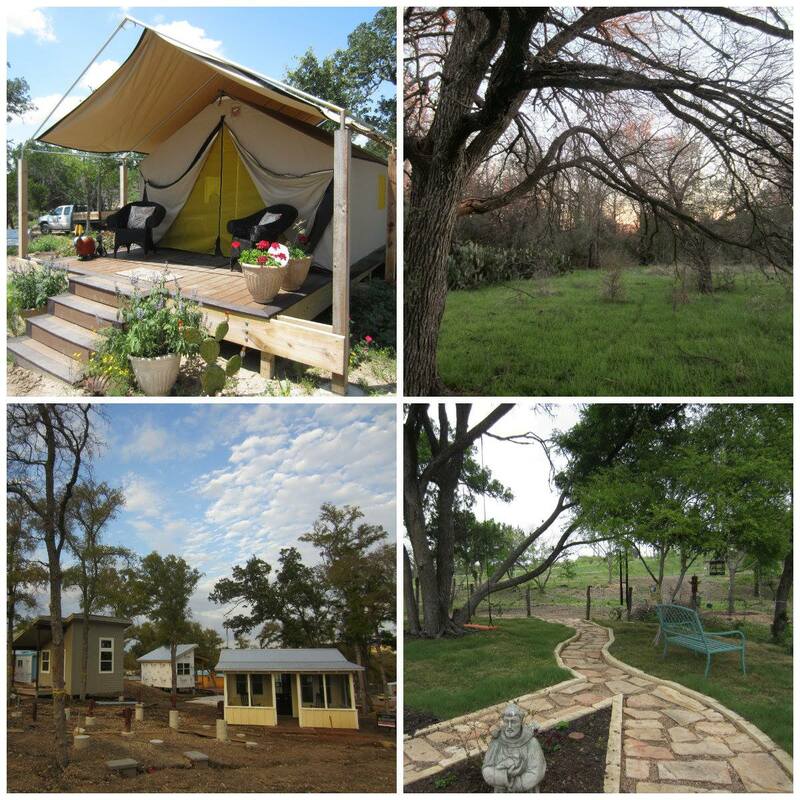 We settle in, wishing we had a hearth made from that beautiful hill country limestone. 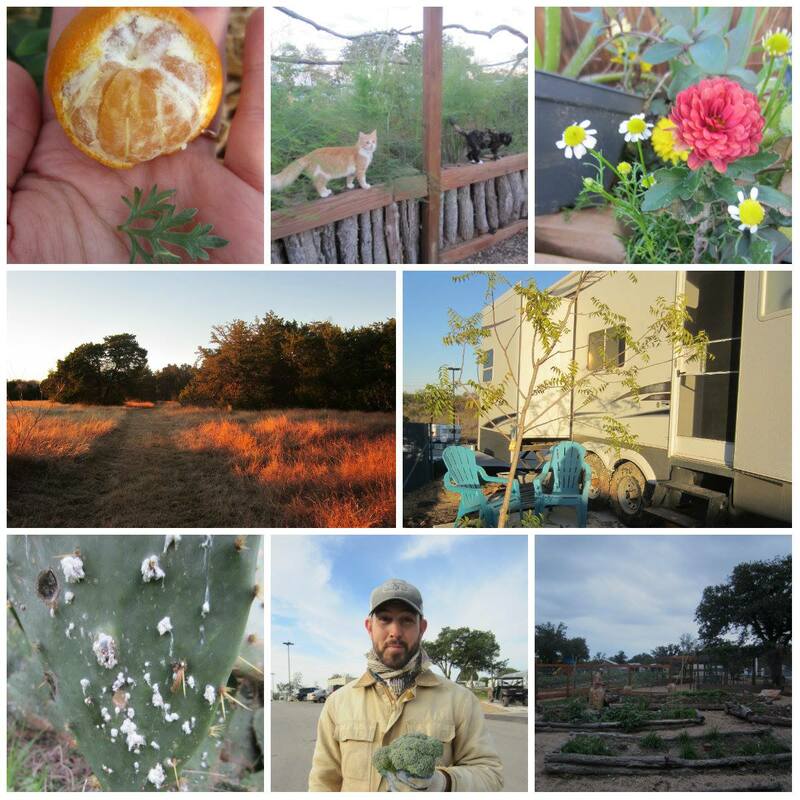 We dream about what we can build on this ground--this native soil, this home. all creatures great and small find a home. How does your neighborhood make spaces of significance, meaning and memory? How does your neighborhood preserve and embody it’s own story? Are there are any signs of a "homegrown economy of humanly scaled, diverse, neighborhood-serving businesses" in your neighborhood? If we walked around the block in your neighborhood, what would we see (hear, smell, etc.)? What are the "creeks and rivers, weather, seasons, stone outcroppings, plants and animals" that share your neighborhood? Put another way: If you were asked to coordinate a walking or biking tour of your neighborhood, what would you include in the tour? Also, how would the season of the year affect your itinerary? In your own neighborhood, when do you have the sense that you’ve “never seen a place you liked as much as this place”? What does it sound and look like in those moments? Where are you walking when you feel this way?